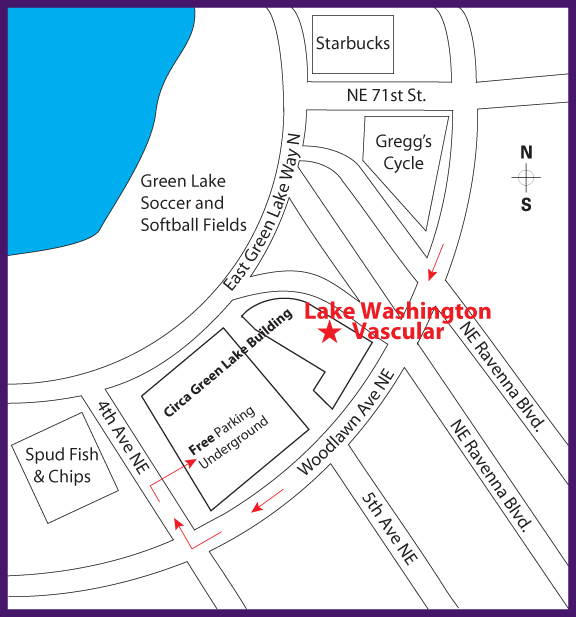 At the end of the exit ramp, turn right onto NE 124th St.
Stay right and follow sign toward Totem Lake Blvd. Turn right on NE 71st St.
Take the elevator to the first floor. Turn right at the light: NW Maple St.